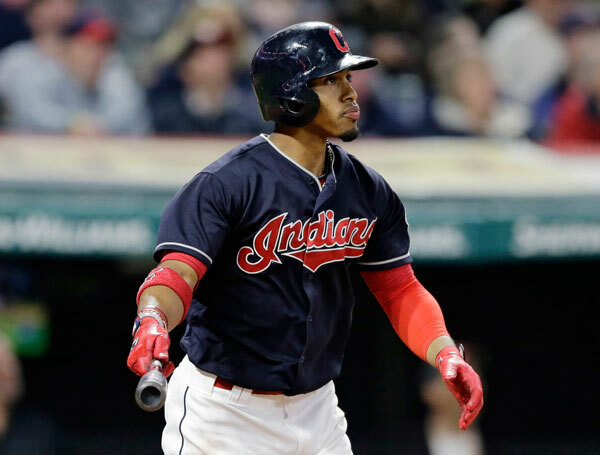 CLEVELAND, Ohio -- Francisco Lindor has added game-changing power to his long list of skills. 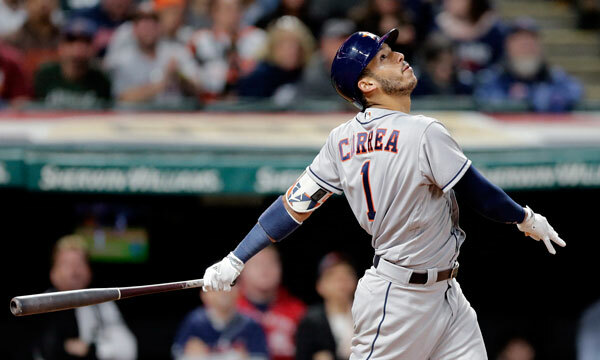 Lindor's two-run homer in the seventh inning lifted the Cleveland Indians over the Houston Astros 4-3 Thursday night. The 456-foot blast off Chris Devenski (1-1) landed in the visitors bullpen about 50 feet beyond the center field wall. "I'm not supposed to be hitting the ball that far," Lindor said with a laugh. 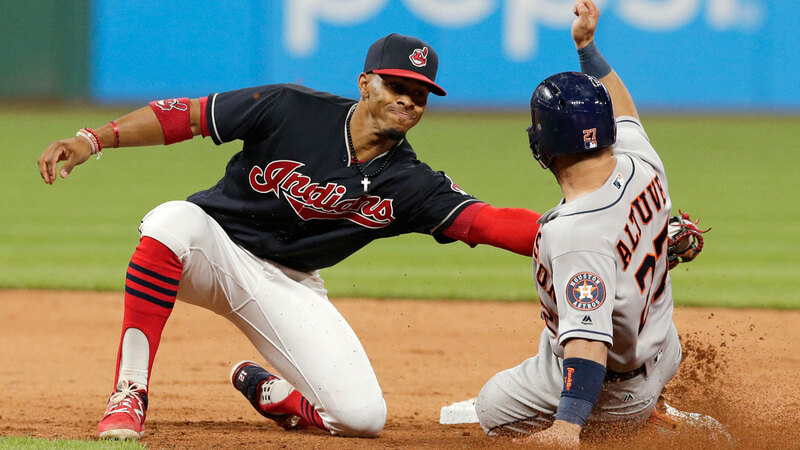 Indians manager Terry Francona watched Lindor make an All-Star team and help the Indians reach the World Series in his first full season in the majors. Nothing the switch-hitting shortstop does is a surprise anymore. "Sometimes you need good players to step up," Francona said. 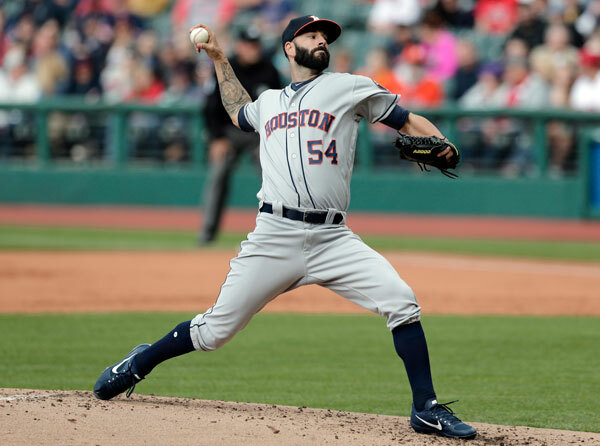 Corey Kluber (3-1) struck out 10 and allowed three runs in seven innings as the defending AL champs took two of three from the AL West leaders. "That was a great game and a great series," Astros manager A.J. Hinch said. "Their guy beat our guy. That's really it." Edwin Encarnacion and Abraham Almonte also homered for Cleveland, which has won seven of nine. 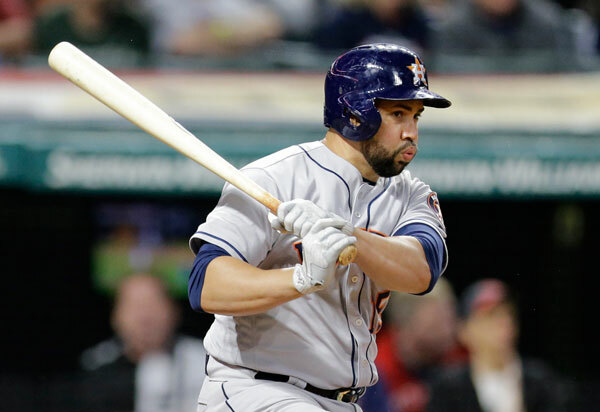 Marwin Gonzalez homered, and Evan Gattis and Alex Bregman each had an RBI single for the Astros, who have the second-best record in the AL. Cody Allen pitched out of a ninth-inning jam for his fifth save and second of the series. 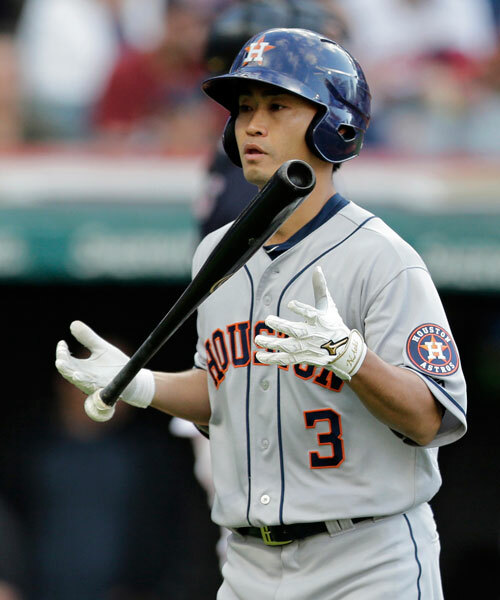 Jose Altuve, held out of the lineup for the second straight game after being injured in an outfield collision Tuesday, had a pinch-single in the ninth but was thrown out trying to steal second. 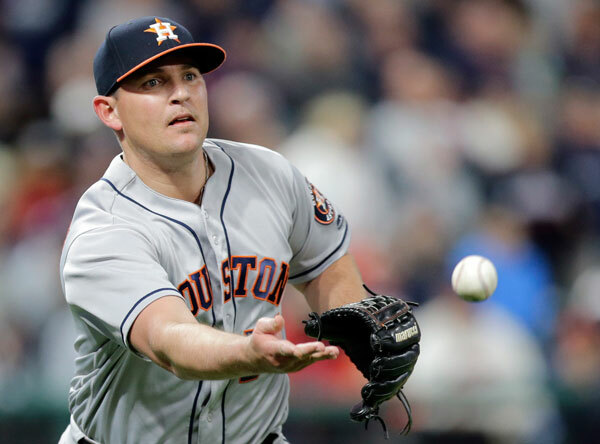 Josh Reddick then singled and took third on Carlos Beltran's pinch-single, but Carlos Correa fouled out and Brian McCann struck out. Yan Gomes drew a one-out walk in the seventh. Devenski, who entered the game in the fifth, struck out Carlos Santana before Lindor sent a 2-0 pitch to center for his sixth home run of the season. "It felt great to get Kluber the win," Lindor said. 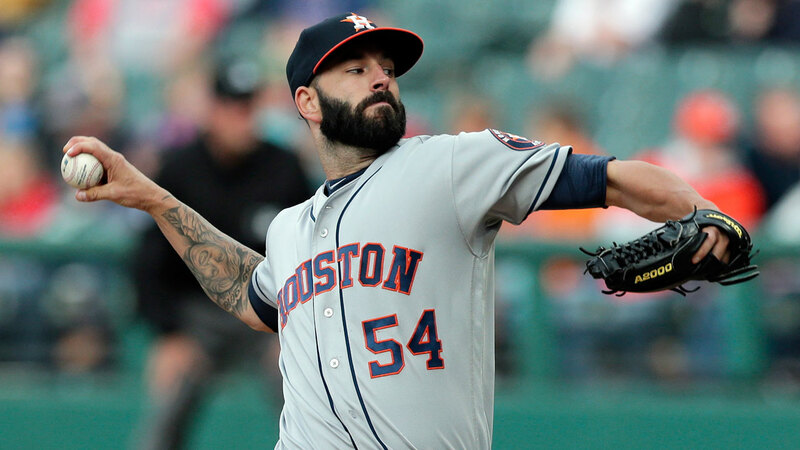 Kluber, who pitched a three-hit shutout against the White Sox in his last start, held Houston scoreless after the third. The right-hander allowed eight hits and walked four. The teams traded solo home runs in the second. Gonzalez put Houston ahead with a line drive to dead center before Encarnacion tied it with a drive into the left field bleachers. Encarnacion's homer was his fourth of the season and first at Progressive Field since signing a $60 million, three-year contract in January. Almonte made a leaping catch at the right field wall on Yuli Gurriel's bases-loaded line drive to end the first inning. Almonte, who crashed into the wall as the ball landed in his glove, pumped his fist after making the grab. "I didn't feel it when it hit my glove because I hit the wall at the same time," Almonte said. "I looked at my glove and said, Yeah, I got it." 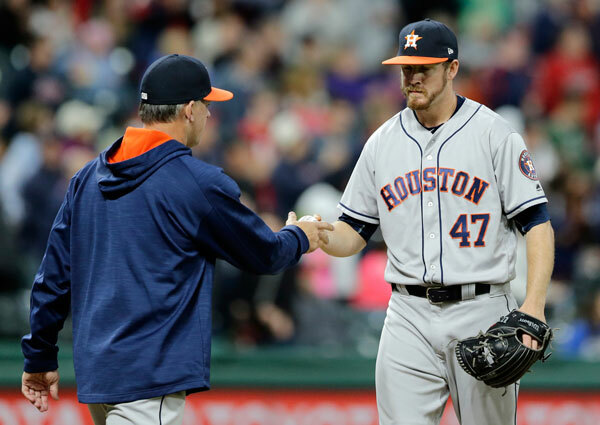 Despite getting the loss, Devenski has been one of the top relievers in baseball through the first month of the season. The right-hander has struck out 32 and walked two in 16 2/3 innings. "You can tell by the way, where they brought him in the situation, how much confidence they have in him," Francona said. "He's tremendous." "It was good hitting," Devenski said of the home run. "He went down and got it." Astros: OF George Springer (strained left hamstring) was held out of the lineup for the fourth straight game. He served as a defensive replacement Tuesday. Astros: RHP Charlie Morton starts the opener of a three-game series with Oakland. The 10-year veteran has never pitched against the Athletics. Indians: RHP Carlos Carrasco, who has the sixth-lowest ERA in the AL at 1.65, takes on Seattle in the first game of a three-game series.